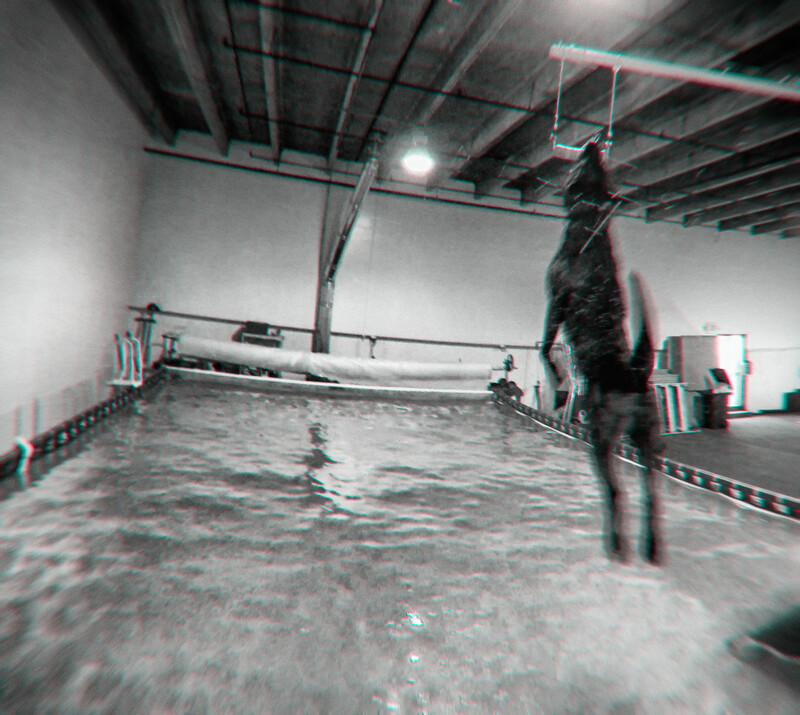 Whether your dog competes or just enjoys jumping off a dock, our facility is equipped with a regulation forty foot dock and forty-one foot pool for the sport of dock jumping. We also have a “rookie” dock for those dogs who aren’t quite ready for the height of the regulation dock. The facility is equipped with an Extreme Vertical and a Speed Retrieve rig as well. We offer 1:1 training in addition to group classes. New clients must first undergo a Pool Orientation. We will cover information about the facility and the rules for participating in activities to ensure the safety of all our clients and their dogs. We ask that you arrive 15 minutes before your scheduled orientation to fill out a client intake form. The majority of the pool orientation will be spent with your dog in the pool and making sure that your dog can safely enter and exit the pool. 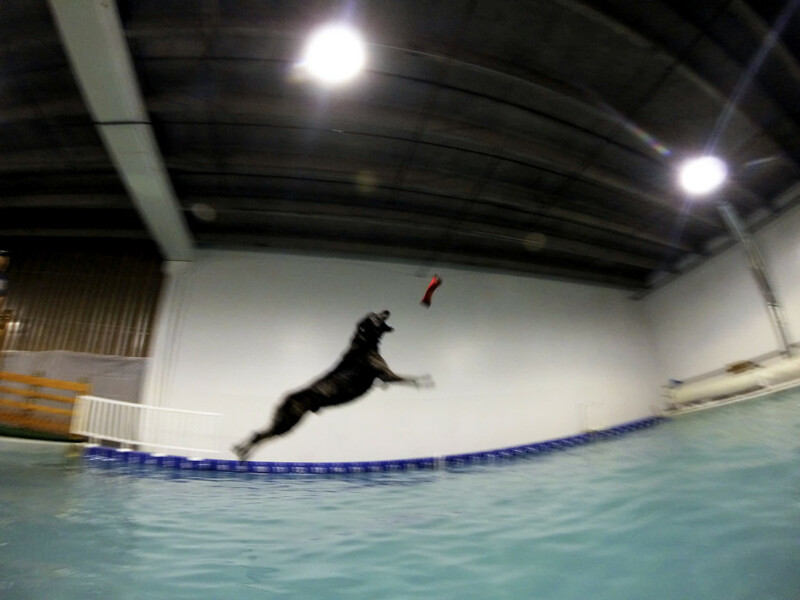 If your dog is already a dock jumper, we’ll simply quickly make sure that your dog understands how to exit the pool and return to the dock. If your dog has never jumped off a dock but you think he/she would enjoy it, then after your dog demonstrates that he understands how to safely enter and exit the pool using the ramp, we’ll introduce him/her to the regulation or “rookie” dock. The session will last one half hour. The maximum number of dogs that can participate in a single pool orientation is two from the same household. Throw toy: If your dog has a favorite toy that floats and is non-edible, please bring it. We do, however, have a number of toys and bumpers that you can use during your orientation session. 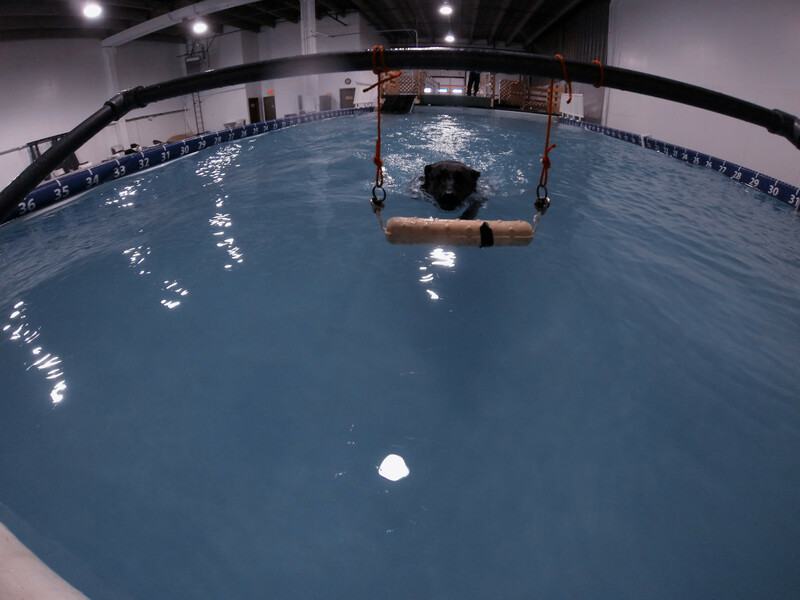 Please call us at (719) 357-8156 for our Dock Jumping Training prices. Stay tuned for the latest class schedule and prices. All of our dock jumping sessions are private. We currently do not offer “open” sessions. Please refer to the “Pricing” tab for the limit and pricing on the number of dogs per session.